I received this lovely gift from a very dear childhood friend of mine. A gift with a condition it is. You see, my friend L. made this lovely cross-stitch embroidery especially for me. (Yay! Thank you so much!!!) 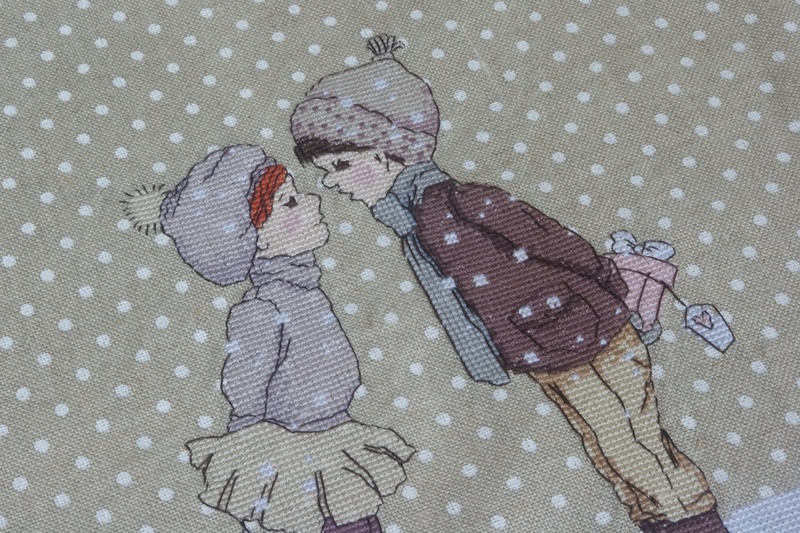 She enjoys occasional sewing or embroidering when the time permits. Well, she embroidered this and sent it over to me with one particular condition - that I make a pillow with this piece. She made me promise her that. I could not believe that L. was willing to part with this piece of art, I kept asking her to keep it for herself but she insisted. And I am so glad she did because I would never have enough patience for such a detailed work. When I saw this picture for the first time, I instantly fell in love with it. There was something sweetly familiar about this drawing, this particular style, but I could not work out what. Only after about some time it occurred to me that it is a design by Belle & Boo. How could I not know this from the first sight? This is beautiful, you are lucky. It is very beautiful! Belle & Boo designs are always so sweet! What a beautiful gift. No wonder you are a little worried about actually using it to make a pillow. The stitches are so tiny and even, it's almost like a printed picture. I can't believe my friend made it for me. So sweet of her. 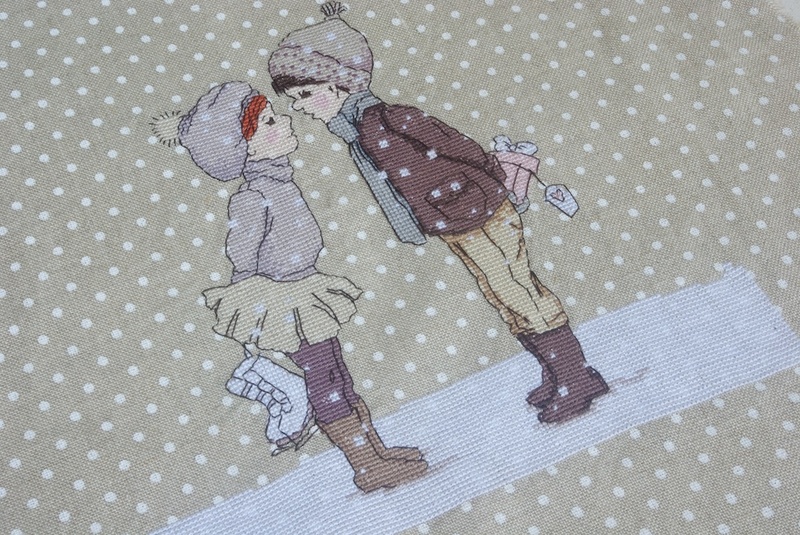 That is beautiful cross-stitch and perfect use of polka dots! Looking forward to see your pillow creation! I really want to start working on a pillow but still feeling a bit afraid. Such a cute design!